S&P Dow Jones Indices recently launched the S&P Global SmallCap Select Index Series. These indices aim to provide broad market exposure to small-cap equities around the world that have a track record of generating positive earnings. 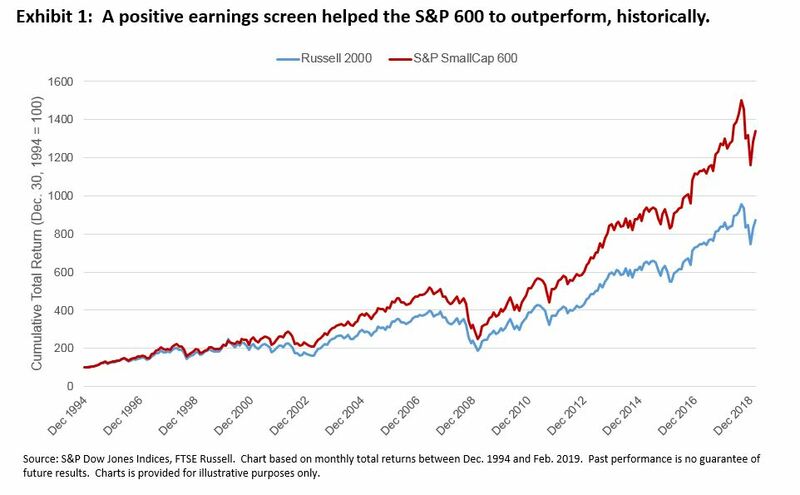 As prior S&P DJI research highlighted, the S&P SmallCap 600® outperformed the Russell 2000 by around 2% on an annualized basis over the last two decades. A large reason for this outperformance stemmed from the S&P 600’s significant exposure to quality; unlike the Russell 2000, the S&P 600 incorporates a positive earnings screen and so it has a greater bias towards profitable small-cap companies. The newly launched small-cap select indices incorporate a similar positive earnings screen to that used in the S&P 600, and there is clear evidence it would have helped market participants seeking international small-cap exposure. For example, all of the S&P Global SmallCap Select indices provided greater returns and lower volatilities compared to their less discerning counterparts over the last 15 years. Since similar results are observed over shorter horizons, the performance characteristics suggest the select indices have raised the bar in small-caps and may serve as better benchmarks. Another way to assess the effect of incorporating a profitability screen in the small-cap space is to switch benchmarks in our S&P Indices Versus Active (SPIVA®) scorecards. Over the 15-year period ending December 2018, around three in every four managers lagged the S&P Developed Ex-U.S. Small Cap’s 7.5% annualized total return. In contrast, around five in every six international small-cap funds underperformed the S&P Developed Ex-U.S. Small Cap Select’s 8.3% annualized total return. Similar results were found in the U.S. small-cap category; nearly 90% of managers lagged the S&P 600’s 9.2% annualized gain over the 15-year period, whereas nearly 80% failed to beat the Russell 2000’s 7.5% annualized return. As a result, incorporating earnings screens in the small-cap universe has been an effective way to eliminate unprofitable companies without sacrificing returns or resulting in higher volatility. 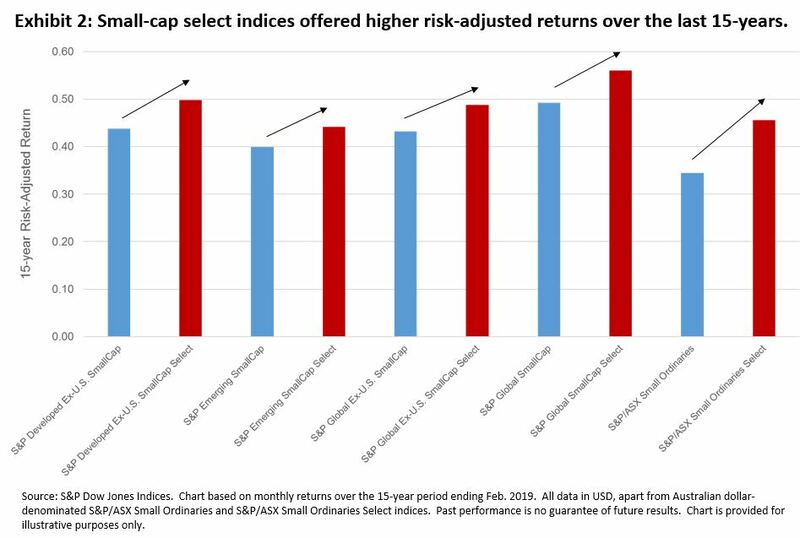 And while the majority of active international small-cap funds underperformed the traditional small-cap benchmark, an even higher proportion lagged the S&P Developed Ex-U.S. Small Cap Select. Hence, market participants seeking broad market exposure to international small cap space may be better served by selecting this next generation of small-cap benchmarks.